Games are coming thick and fast and so is the news concerning Arsenal. The transfer window is starting to rear it’s head with just a handful of matches left before the end of the season, while the pressure is really amping up in the search for Champions League football. It really is the most exciting time of the year. We’ve taken a look at some of the biggest storylines concerning the Gunners over the last 24 hours. He has not had the best of starts at Arsenal to say the least. In fact the 25-year-old is yet to play more than 25 minutes in a single match under Unai Emery. 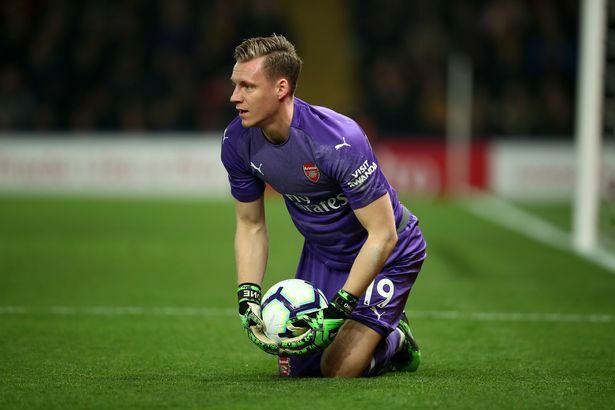 The Gunners have the option to make the loan move into a permanent deal at the end of the season but at that moment that certainly doesn’t look likely. Denis Suarez of Arsenal in action against Al-Nasr. The Barcelona loanee is currently injured according to his agent, and is also keeping his mind open concerning a future transfer. The Spaniard’s agent Felix Guende told Radio Kiss Kiss – via Sport Witness : “He has two years left at Barcelona. This year in England hasn’t been his best. He’s played little and hasn’t been able to find a rhythm. At the moment, he’s injured. He has muscle fatigue and an injury. There’s be another ‘leak’ and even though it’s only for a training kit, it’s got us pretty excited. The Gunners are teaming up with Adidas at the end of the season when their deal with Puma finally expires and with the likes of the bruised banana shirt already doing the rounds on social media there’s definitely a buzz around the change. Take a look at what this beauty looks like and what Arsenal supporters think here . Not only did the German international prove his class on the pitch against Watford, he showed it once again once the final whistle had went. The 27-year-old had some kind words for Ben Foster after the Watford goalkeeper’s error allowed Pierre-Emerick Aubameyang to seal victory for Arsenal with his 10th minute strike. Foster said, as reported by the Evening Standard : “To be fair, he’s absolutely rapid. Though, it doesn’t sound like the stopper was convinced by Leno’s words and he was very honest in his assessment of the goal. He said: “I have tried to drag it on to my left and pass it out but before I knew it he (Aubameyang) was bloody on me. “He is too quick. I have to do it quicker. In hindsight you have to get rid as quick as you can, even if it goes into row Z.